Anchor any outdoor dining set with a pair of swivel rockers. Designed by Peter Homestead, the Lakeside Woven Swivel Rocker invites modern families to connect with nature. 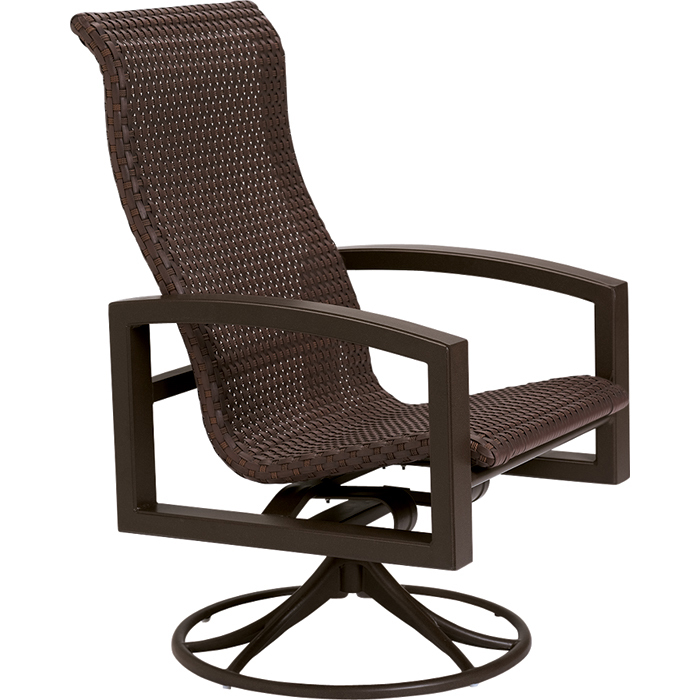 Lakeside Woven Swivel Rockers feature the TropiKane® Bison Weave, which will have guests rocking in relaxation. The all-aluminum swivel base means years of maintenance free enjoyment outdoors. The Lakeside Woven Swivel Rocker invites you to relax and linger long after the meal is over.